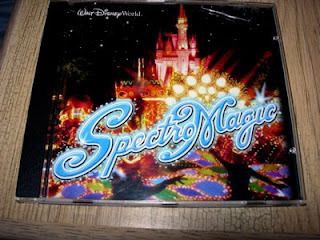 This is the soundtrack from the fantastic parade at the Magic Kingdom at Walt Disney World, "Spectro Magic". This parade is unique to Walt Disney World, and features thousands of sparkling lights, some of your favorite Disney characters, and some interesting looking creatures. It also features wonderful Disney music, along with the Spectro Magic theme music throughout. This parade is hosted by Jiminy Cricket from Walt Disney's "Pinocchio".